Dr.B.Siva Kumari, Dept. 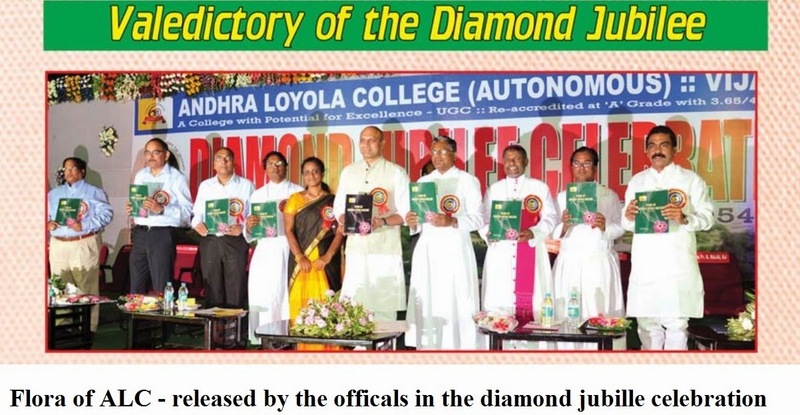 of Botany, authored a Book entitled "Flora of Andhra Loyola College” II Edition and it was released by Sri M.M.Pallam Raju, Minister for Human Resources Development, Govt. of India, on 8th March 2014 during the Valedictory of Diamond Jubilee Celebrations.